UPDATE FEB ’17: Espai Sucre is closed and will reopen in a completely different format later in 2017. It seems that the new concept will be a single shared table for a limited number of diners. Surprise and delight in equal measures in an original menu that creatively combines both sweet and savoury. Way back in the early 2000s, when I first visited Espai Sucre (“sugar space”), the restaurant world was a very different place. The techniques of molecular gastronomy, many of which would later become over-used everywhere by under-skilled chefs, were still largely restricted to a few high-end restaurants. Espai Sucre was among the first generation of restaurants to change that in Barcelona. Patissiers Jordi Butrón and Xano Saguer served only cutting-edge desserts with the handbrake let off their creativity. Espai Sucre was the first place in the world dedicated to such a concept, and the menu was relatively cheap (at least compared with 2 and 3-star restaurants). It was also great fun. You never knew what you were going to get as the chefs played, Willy Wonka-style, with crazy combinations of flavour, texture and temperature, mixing savoury and sweet and using every trick in the book to surprise the senses of astonished customers. But it didn’t always work. Even those of us who like that sort of thing pushed a few plates aside, and some of the dishes were more successful at being clever than they were at being delicious. It was food for the head, not the heart. Fast forward to 2015 and Espai Sucre has changed with the times. The Espai Sucre pastry school, which also opened in 2000, is now a renowned production line of culinary talent but the profile of the restaurant itself has lowered a little as food fashions have waxed and waned. It no longer serves exclusively all-dessert menus (though one is available) and now offers a design-your-own-dish “sweet tapas bar” experience, where customers can pick flavour combinations and the chefs will create a dish based upon them. That sounds interesting, but I went back to see what the latest version of the tasting menu would offer. The dining room has been redesigned but remains a high-ceilinged, minimalist box with a workmanlike vibe and a view into the kitchen, where students of the school labour alongside their professional peers. This work-experience staff element is important, as it allows the restaurant to offer its top tasting menu for just €55 (plus 10% sales tax, which they really should just include in the price) and other menus for as little as €35 ( plus tax). I chose the full tasting menu with an €18 (plus tax, sigh…) six-glass wine pairing. Three amuse-bouches surprised me with their straightforwardness – straightforward relative to the ‘old’ Espai Sucre, anyway. A warm cream of broccoli with cheese and lemon zest; chocolate, olive and fennel sablés; and a nice twist on a coca de sobrassada i mel that neatly balanced the honey and paprika with pear gelée. Bread is almost, but not quite, a buttery croissant. Served hot from the oven it’s delicious but could be slightly lighter. Then marinated mackerel and onion with smoked aubergine, cherry tomatoes and chutney. This pulls together a lot of flavours with ease, perfectly balancing salt, sweetness and smokiness. It’s really enjoyable but, and I can’t believe I’m writing this about Espai Sucre, it could be pushed further. The dish is excellent as it is; it doesn’t NEED improving, but this flavour combination could be refined into something really special. Then a noisete of slow-cooked lamb with caramelized endives, peanuts, milk foam and milk ice cream. Oh, this was good. It normally takes me longer than this to get to the groaning-with-happiness stage (honestly…) but this pushed all my buttons. The contrast of temperatures, the creaminess, the meltingly tender meat, the hint of chili counterpointed by the cold ice cream… I never enjoyed a dish more in Espai Sucre. I’ve been more surprised, I’ve been more amused, but never more happy. As good as it was, I was still asking questions. Had Espai Sucre abandoned its mad scientist magic in the pursuit of a more easily appreciated menu? And, if so, was that a bad thing? The next course provided answers by veering back into more familiar E.S. territory: that is, less familiar flavour combinations, as we went into the desserts. Passionfruit cream and false sponge, coffee sponge and cream cheese, lemon basil/lemon cress leaves, mint-anise foam, and a quenelle of kefir sorbet. Yeah, YOU try to describe what that lot tastes like. The fermented kefir ice cream is a disquieting flavour in this context, a smelly sock note that’s oddly enticing, and your brain twists itself into knots from spoonful to spoonful as it processes what’s going on. It’s certainly not for everyone but it’s great fun to eat. Next, I had sobao (a Cantabrian cake) with crumble, lime sorbet and gelée, compressed apples and, oh… I give up. Just go and try it. Coconut tapioca, a “burnt yolk” ice-cream that’s as rich and smooth as foie, crumble, and orujo (a Galician grape liquor) cream, all rescued from gloopy cloyingness by a zingy lime granita, then covered with freshly shaved tonka nuts. Then a sequence of petit fours, all of them offering surprises: a lime and rosemary lollipop, sesame and liquorice crunch, butter and salt shortbread, chocolate and smoked tea bonbon, coffee and anise pare de fruit, peanut and curry biscuit, cocoa and green cardamon marshmallow and a final shot of green apple and laurel juice. Some were more enjoyable than others (I can’t say I enjoyed the stick-to-the-roof-your-mouth burnt liquorice experience, but the marshmallow was a pillow of perfection) but all of them were a welcome and challenging change from the standard box of chocs selection that usually appears at this stage of a meal. The Willy Wonka-style surprises have been toned down, a bit, across the menu as a whole here over the last decade-and-a-half but Espai Sucre retains the ability to make you smile. The chefs have worked out the winning combinations on the flavour game controller and can now confidently pull off dishes that might previously have been impressive but not enjoyable. This is still playful and inventive cooking, but it’s backed by a better understanding of what simply tastes good. It’s not new any more, or even unique as a concept any more, but this more mature manifestation of Espai Sucre is undoubtedly a better restaurant. The real price of the full menu (€60.50, which, I repeat, they really should write instead of €55 + tax) is a bargain for this level. It’s not perfect: the wine pairing is OK but the meagre amounts of wine poured seem stingy) and the chairs and wooden benches are, literally, a pain in the arse. It’s also not for everyone: I know people who’d hate this kind of cooking with a passion, just as I know people who would declare it the best experience of their lives. If you can embrace the unexpected, you’ll find a grown-up, so-called dessert restaurant that serves some of the most interesting dishes in Barcelona. Espai Sucre: Carrer Princesa 53, 08003, Barcelona; Tel. (+34) 932 681 630; Metro Jaume I (L4); Closed Sundays and Mondays. 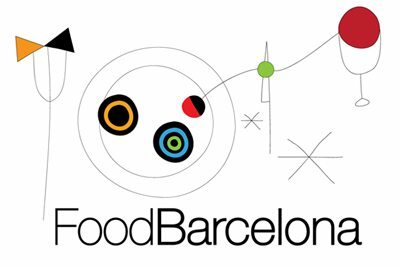 Find Espai Sucre on the FoodBarcelona restaurant map. If you’re a real sugar junkie, check out La Pastisseria Barcelona when you’re next here. Thanks, I’ll be sure to! Is the restaurant at Espaisucre still open? I couldn’t seem to find information about it on their website. Reservations are only available in May, for parties of 20 or more! You’re quite right, thanks for bringing it to my attention. I’ve just found a press report that it’s closed and will reopen as a ‘showcooking’ venue with shared table etc. That’s very disappointing.